Internal & External grinder 、Conveying equipment、Coffee roasting equipment、Centrifugal equipment、Polishing equipment、Emulsifying machine、Glass edge grinder、Auto polisher grinder, etc. 1. Minimize EMI and maintenance free. Low noise. 2. Specialized design to have smooth shaft rotation and improved reliability. 3. 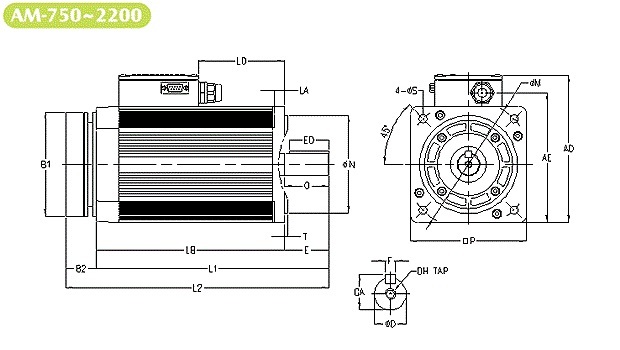 Brushless DC motor is light weight and compact size, higher power density, higher torque density and higher efficiency than conventional motors. 4. The structure has an excellent behavior in energy saving during heavy load operation. The high efficiency range is much wider than other motors too. 5. 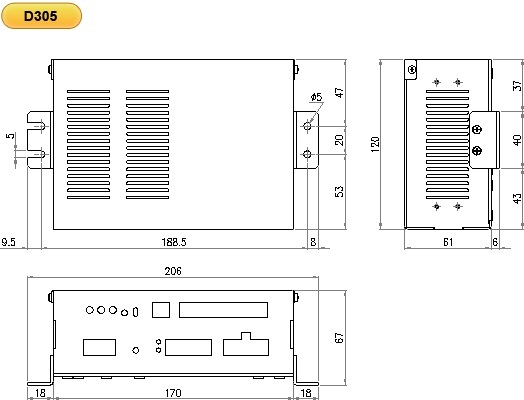 Built-in NTC thermal resistor to prevent over heat problem. 1. Available for all control interfaces, ex. 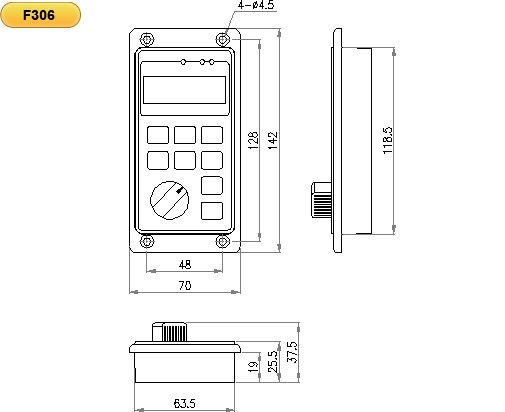 RS 485, direct signal, PLC, HMI. 2. Convenient 220VAC driver power input from 60W. No more 24VDC power supply. 3. 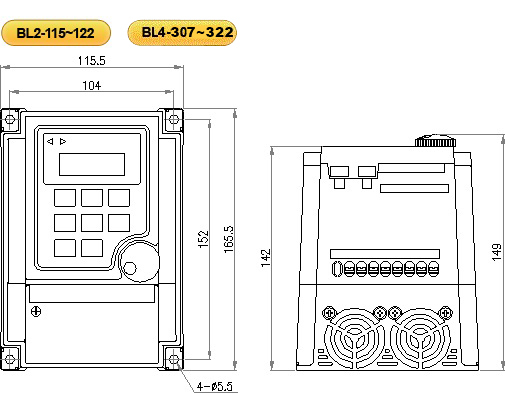 Built-in 24VDC mechanical brake control power. 4. Real motor speed display and signal output. 5. 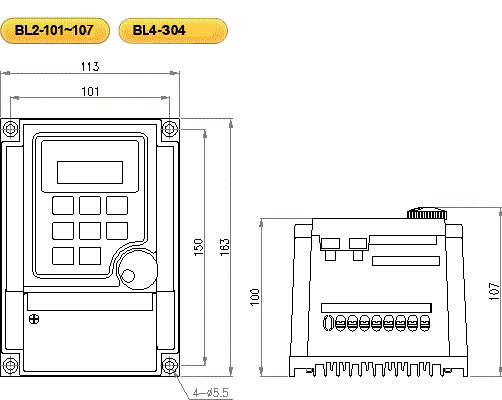 Panel control is always enabled with removed control or terminal control or RS485 control. Convenient for system set up or maintenance. 6. Excellent speed stability. Open loop and close loop speed control for selection. 7. With 0~5VDC, 0~10VDC and 4~20mA speed analog input. 8. Over current / heat / voltage, electric motor lock protection. 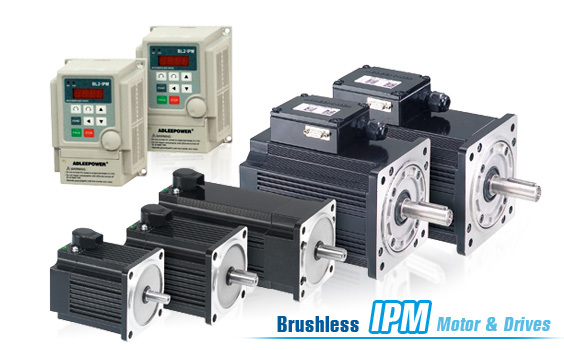 AM brushless motor has magnet brake option. The AM-60~370 brake torque is 25Kg-cm (21.6in-lb). 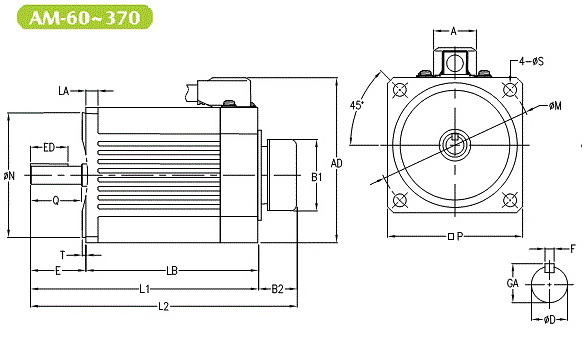 The AM-750~2200 brake torque is 160 Kg-cm (135 in-lb). 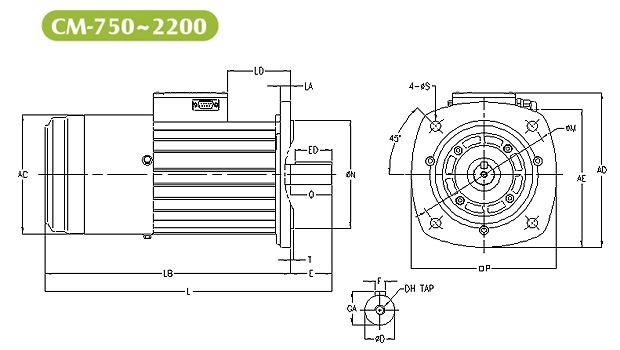 Brushless DC motor has oil seal option.